Luis Reyes reverted to his first-AFL-start form as he was lit up for six runs in the 2nd, which proved to be the difference in Salt River’s 11-6 loss to Peoria. Reyes coughed up two homers and six hits total while retiring four of 11 batters faced. He walked one and struck out none while taking his second loss of the fall. Carter Kieboom (pictured) remains red-hot as he went 3-for-4 with a walk and a whiff while starting at second base and playing the last three and 1/3rd innings at shortstop. Defensively, he had one putout and one assist, both at 2B. Tres Barrera was the catcher and went 1-for-3 with a sac-fly RBI and a run scored, but also committed an error and went 0-for-2 trying to throw out basestealers. Daniel Johnson started in CF and got his third hit in 34 at-bats and his 11th, 12th, and 13th strikeouts. He made three putouts and threw out a runner at the plate for an 8-2 DP to end the 8th inning. Despite the loss, the rafters remain in 1st place by a game at 9-7. This week, they’ll play home-and-home against Mesa and Glendale and visit Surprise on Friday. Saturday is the Fall Stars game, for which rosters have not yet been announced. Second year in a row Daniel Johnson has gone to the AFL following a season in which he looked like a prospect, and second year in a row he’s been overmatched by AFL pitching. Maybe meaningless. Hopefully. Maybe I’m just overly optimistic, but I’m starting to really think Carter Kieboom could be our everyday second baseman starting in 2019. The kid can hit. I would guess that Baby Kieboom has been penciled in to come up in late April/early May to do just that. The Nats have too many holes to fill in free agency and need to save money somewhere. I’m having the same concerns about DJ that Sao does. He seems like he should have a higher upside than Stevenson, with Johnson having similar speed, better arm, and more pop. But Stevenson was terrific his one fall in AZ, while DJ has struggled in both. Johnson is coming off a significant injury this season, though, and in 2017 he wasn’t really AA-level yet. We’ll see. With Kieboom, the big key is Kendrick’s health. The Nats CANNOT afford to have Difo starting for half a season again. If Kendrick isn’t healthy, they’re going to have to sign someone. Hard to draw much of a conclusion after only 34 ABs for Johnson. He is hitting 3 for 21 when balls are in play which shows some bad luck, but the 14 Ks in 34 ABs are a concern. Barring a ton of injuries that led to the Soto promotion, the earliest the Nats would promote Kieboom to the MLB level would be June to protect the Nats’ financial interests. The Nats can go a lot of way with Kieboom. If the Nats sign Harper and that leads to the club to not seek a long-term deal with Rendon, they could move Kieboom to third. OTOH, there are a ton of reasonably solid second basemen on the free agent market. If the Nats don’t sign any of them, could be a sign that Kieboom is considered the long term solution there, and they may play Difo/Kendrick/or some other stopgap until Kieboom is brought up. Great to see Carter getting some reps at 2nd and swinging well again. How can the Nats consider bringing on a vet @ 2 b for 7 million a year when Carter might be less than two years away and Difo may stay instead of being moved for a starter ?? I imagine the plan is the same this year as it was last year. Difo plays 2B for the first month or so until our injured, terrible defensive 2B returns from injury (was Murphy now it’s Kendrick). 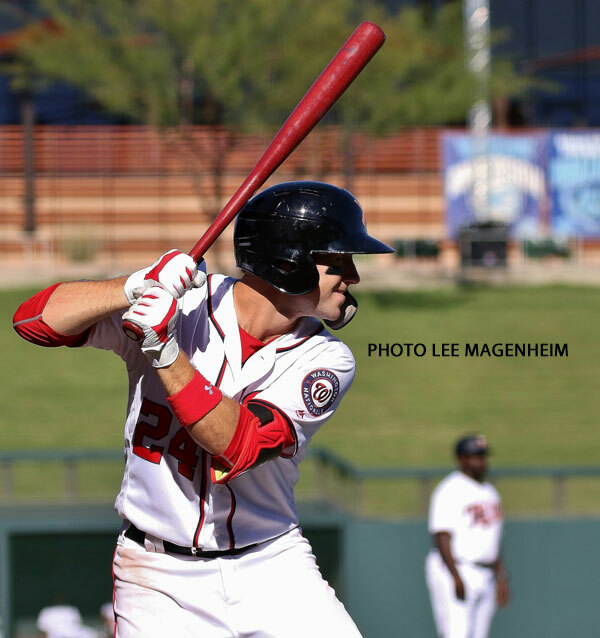 If Kieboom comes out hot in ST he could force the Nats’ hand, but I suspect they’ll handle it like they did Turner: keep him in the minors until June or so, even if he is hitting well in Harrisburg. One possible wrench in this plan is if they could resign Murphy to a one year deal at a possible discount. I don’t think it’s likely but if Murphy isn’t getting many offers this winter it might suit both sides, especially if it takes Kieboom a few months to find his swing like he did this past season.